Taiwanese Beef Noodle Soup 老爺心目中的台灣=牛肉麵!!! If you want me to indicate one most popular dish that can represent Taiwanese food, I would say the beef noodle soup. It is so common but has so many varieties that pretty much every Taiwanese loves it. This is also one of Mr. Big’s favorite dish, his impression of Taiwan since his childhood. Whenever he’s away from home for a while, the top-of-mind cuisine that he wants from me is this spicy beef stew. Continue reading Taiwanese Beef Noodle Soup 老爺心目中的台灣=牛肉麵!!! Posted on November 14, 2014 May 10, 2015 Categories Asian Recipes, Beef/ Pork Dishes, Entrees, Rice/ Noodles Staple Dishes, Soup and SidesTags beef, food, noodles, Onion, recipes, sichuan, spicy, tomato2 Comments on Taiwanese Beef Noodle Soup 老爺心目中的台灣=牛肉麵!!! The French onion soup contains very simple ingredients but needs your time and patient to slowly cook out the flavors to have a good balance of salty and sweetness. 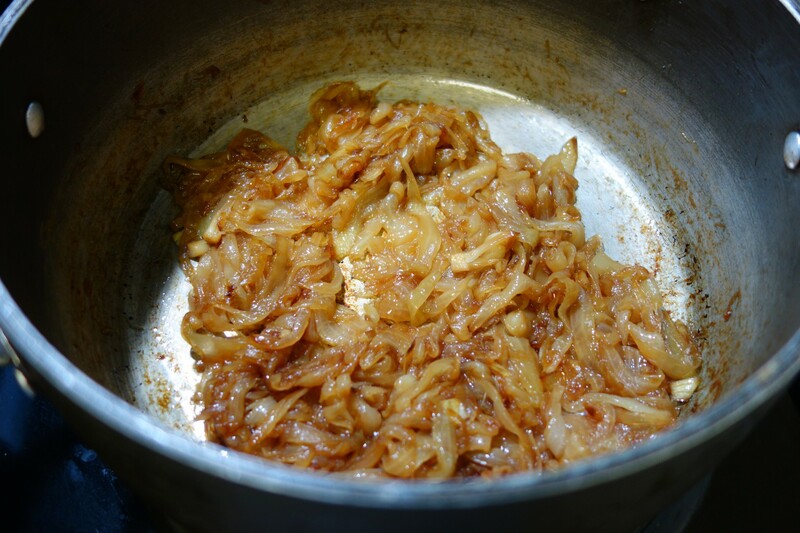 The most time consuming part and the key to make the soup taste good is to caramelize onion for about 45 mins to 1 hour. You need to be careful not to burn the onion but still keep it slowly cooked till lightly brown before you add any liquid into the soup.